Just $150 later I had some really beautiful neutral pieces I could use to transform my room. 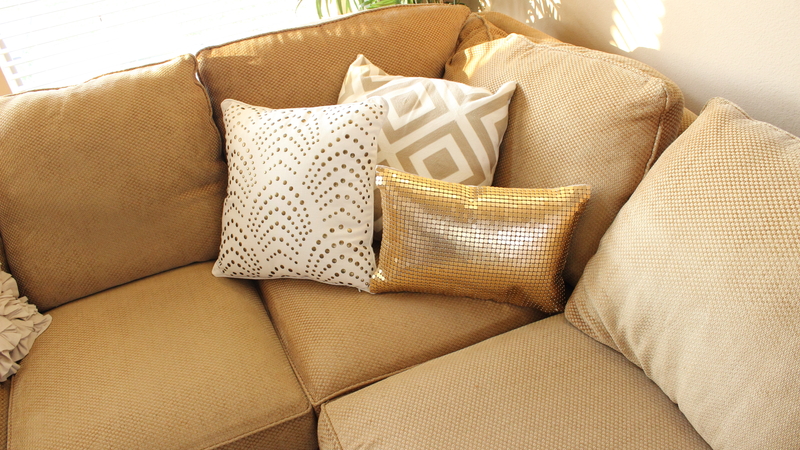 Pillows are essential for living room decor, and I was able to grab 5 of them to make my couch pop! 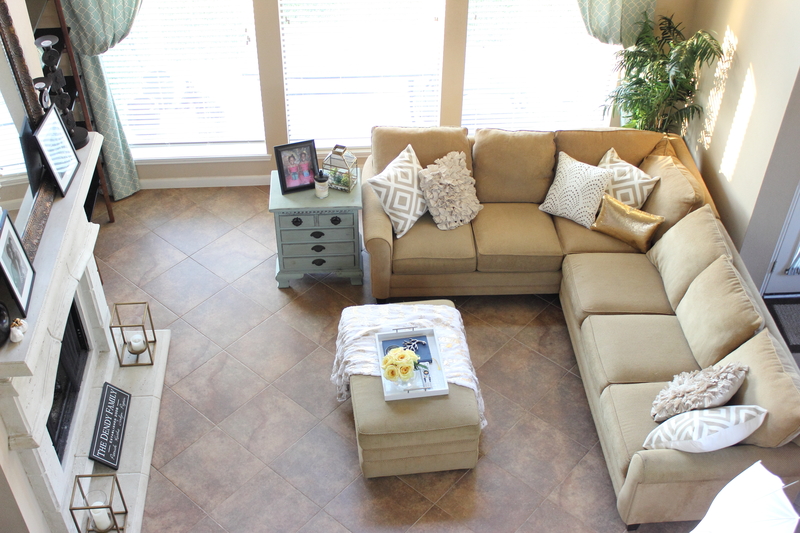 I used the tan and white diamond pillows as a base and then added two stylish pillows in front. 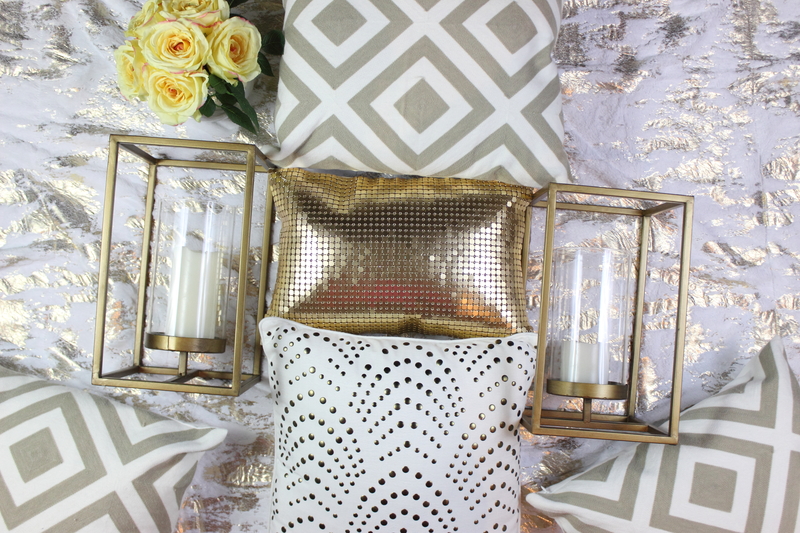 The first pillow had a really cool stud detail, while the gold metallic pillow added a bit of edgy glam to the room! 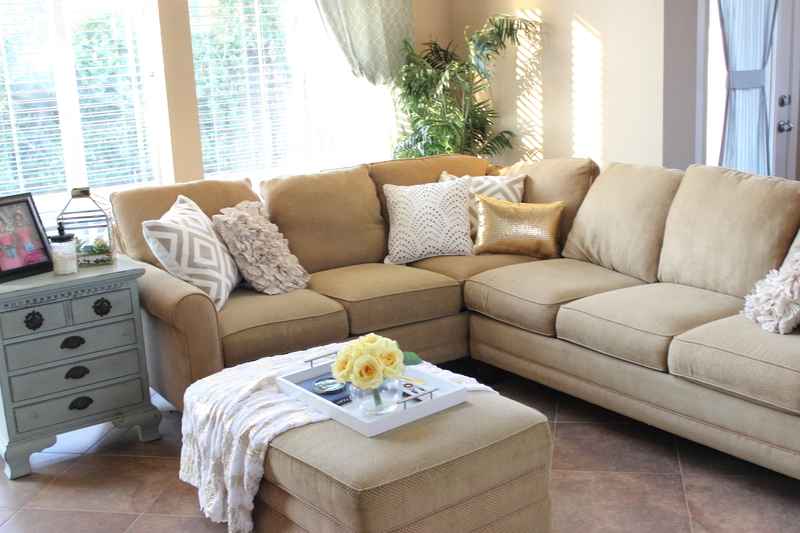 On the other sides of the sectional I placed the other diamond pillows and accented with some ruffle pillows I already had on the couch. 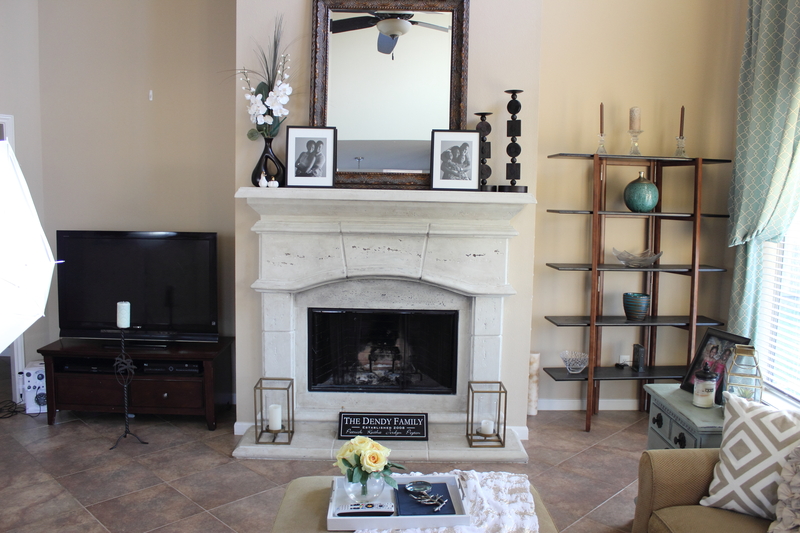 Next I tackled the fireplace. 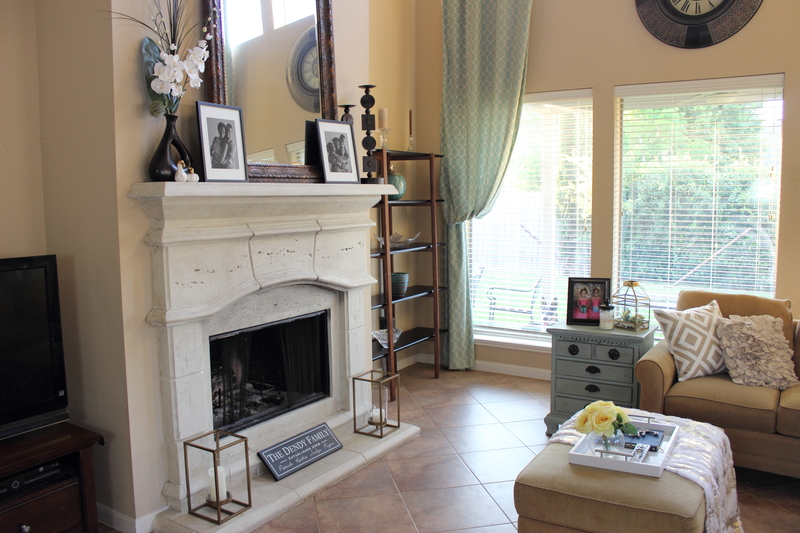 I fell in love with these gold candle holders as soon as I saw them and knew they would be the perfect addition to my mantle. 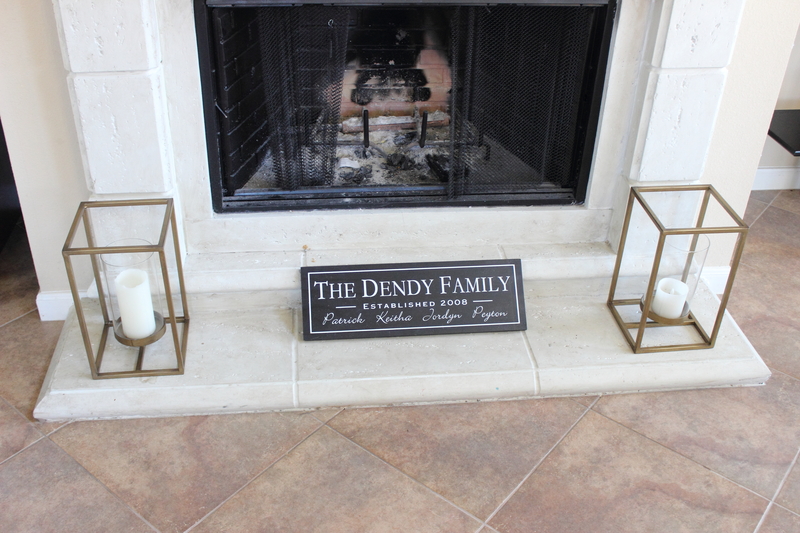 They really are simple yet elegant and the pop of gold added just enough to soften the dark browns and blacks of the other accent pieces on the fireplace. 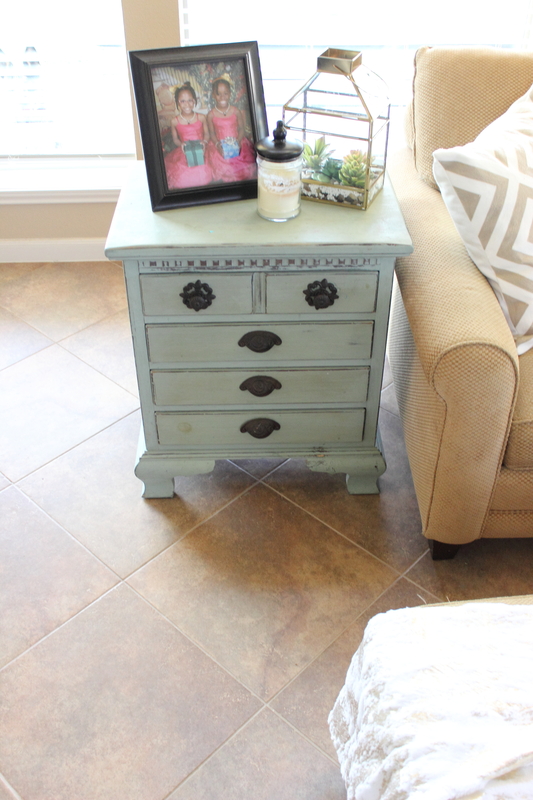 My two favorite finds adorn the ottoman! 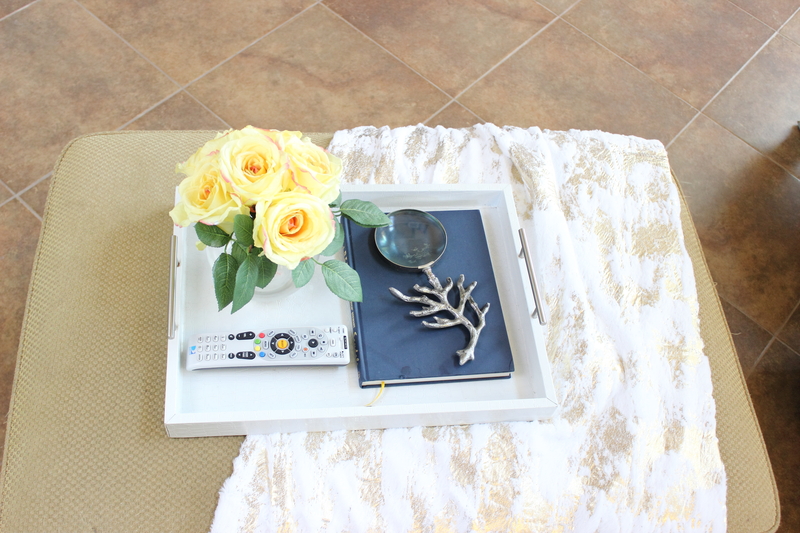 This gorgeous white and metallic gold throw was the perfect addition thrown across the ottoman, while this flower arrangement I found on clearance softens the space when styles on a white tray. 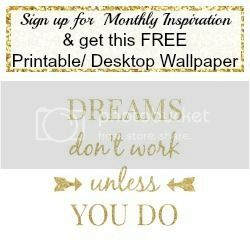 Now you can watch me transform my space in this short video. 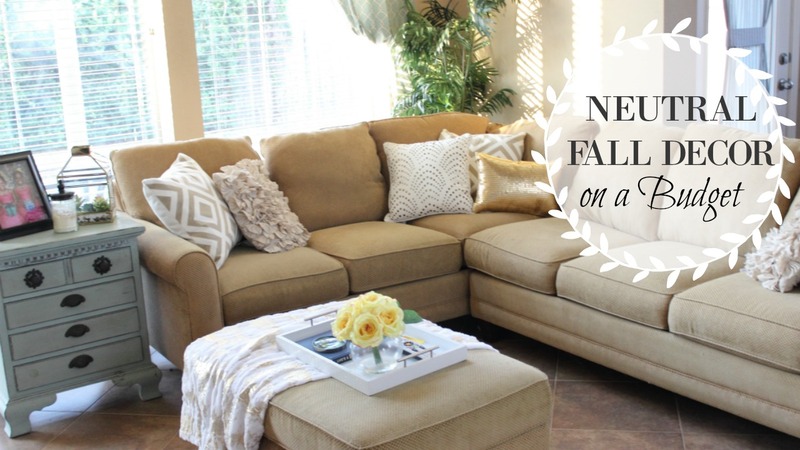 Special thanks to At Home for letting me shop for these gorgeous finds!